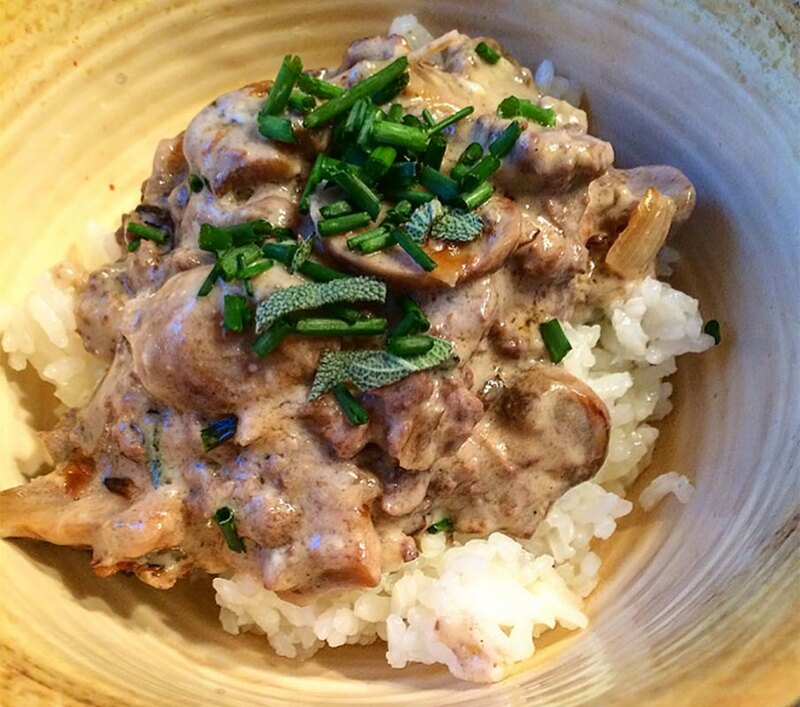 This is a simple, savory ‘stroganoff’ recipe that uses garlic, mushrooms, onion, canned mushroom soup, fresh sage and ground elk burger served over cooked rice. Serves 2 to 4. Heat skillet over medium heat. Add butter, onion, garlic and mushrooms. Sauté mushrooms and onion until they are lightly browned, about 7 to 8 minutes. Add chopped sage and mix. Move mushrooms to the side of the pan and add ground elk and continue cooking until elk is browned. Reduce heat to low and add mushroom soup mix and ½ cup of water to the pan. Stir together and bring to a simmer. For a savory classic flavor similar to stroganoff add a few dashes of Worcestershire sauce to the mix and stir. Season with salt and pepper if needed. Remove from heat and serve over rice. Garnish with fresh chives and sage.